I am hewn from Earth and Fire; But to the sky, I aspire. I am nothing but contented; Until my patient rage is vented. What am I? 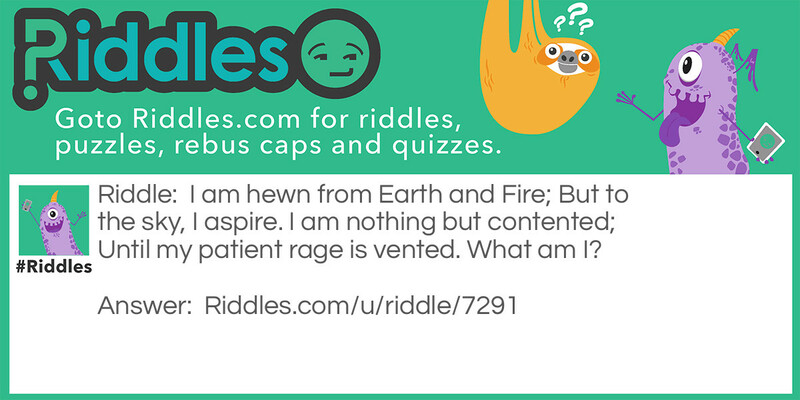 Natural Forces Riddle Meme with riddle and answer page link.